Ideal combination of FiltoClear 30,000 pressure filter with 55 watt integrated UVC and matching Oase Aquamax Eco Premium 16,000 filter/watercourse pump offering price advantage over separate purchase of individual components. Almost invisible integration in the environment. Suitable for ponds up to 30,000 litres with plants and without fish. 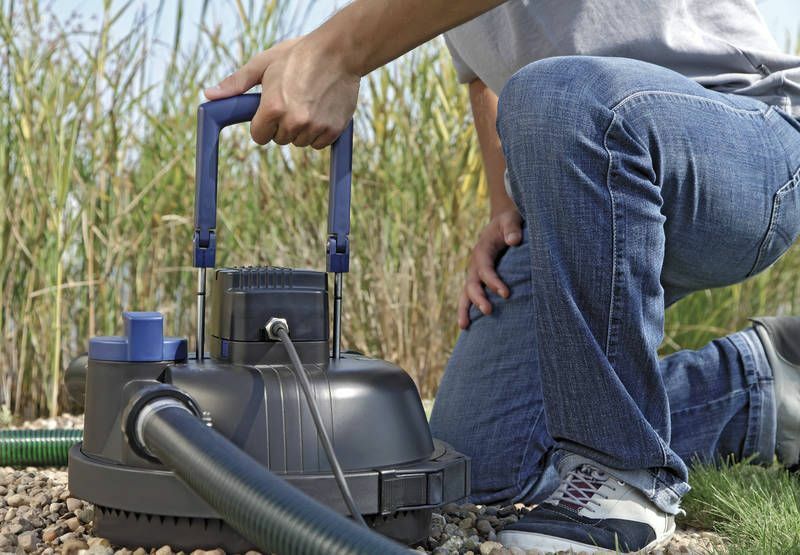 Suitable for ponds up to 15,000 litres with plants and fish stock up to 6kg. Suitable for ponds up to 7,500 litres with plants and koi fish stock up to 9kg. Filter capacity can be increased up to 25% so suitable for ponds up to 37,500 litres without fish or 18,750 litres with fish or 9,375 litres with koi by the addition of an OxyTex Set 2000 aerator system. Inlets and outlets 1 ½" to 2"
Typical set up. Pump in pond used to force dirty water to external filter, from where the water returns to pond. Simple to clean thanks to integrated cleaning plunger. Simply pull up and down to clean on the plunger and the dirty water goes out the third outlet. No need to open up the this filter and simple to clean. 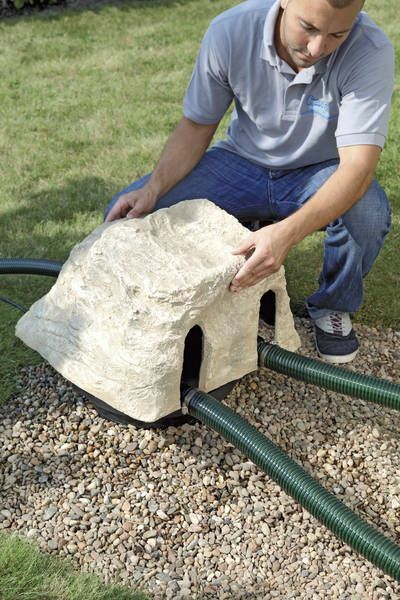 This filter can be buried in ground and disguised with optional fake rock protector cover. POND PIPE , 1 1/2" (one and half inch) heavy gauge smooth bore spiral hose.